Keeping the pace with standard management methods for wide area networks has its challenges. The requirements for scaling applications have become somewhat more unwieldy lately. Additional demands on networks leave many organizations struggling to keep the pace. An SD-WAN solution is composed of software rather than hardware. That is to say, it is made up of information which is stored on another machine rather than depending on a lot of physical equipment. These systems are smaller than the more traditional alternative, but are not to be underestimated. The primary advantages of this type of system are affordability, flexibility, and performance. An SD-WAN has no inherent bandwidth limitation. While the framework that runs it will have specific limitations- they can be expanded upon by upgrading a single unit. SD-WAN can utilize any carrier or multiple carriers per site to create a Private Network through the internet. This allows each location to choose the best service available in that area. This is the main advantage over MPLS where a single carrier must control the connections to every location, even if the carrier is not the best solution in a specific area. Unlike MPLS, where bandwidth limitations can arise at any point in the system, SD-WANs are easier to improve. This is because of the lower cost to own and the fact that fewer pieces of equipment are needed to render such a network. The most significant advantage of an SD-WAN is its security profile. Software-defined networks are easier to monitor and control, with fewer points of weakness. The more sensitive information is moving around on your networks, the more you will benefit from the superior security that such a network makes possible. Multiprotocol Label Switching networks (MPLS) are the legacy technology for intra-operations networking. As such, they benefit from being tried and true. They are well understood by most IT professionals and have some important advantages over upstart SD-WANs. Where MPLS exceeds the competition is its ability to handle interruption sensitive real-time applications. If, for example, you are sharing design simulators between multiple remote locations in real time- MPLS is solid and reliable enough for the job. Imagine you’re conducting crucial negotiations with a foreign investor. Speaking with them in real time without interruptions can be an enormous benefit. Were such a communication to be disrupted by a bad connection or computer lag, it might not go so well. Likewise, sharing hardware intensive application outputs via the network can become impracticable using an SD network that transverses the internet. The trick to MPLS is, keeping your connections beefy enough to support growing bandwidth demands. Keeping the pace can be expensive and complex. But if you have the budget, and the expertise- MPLS is still a very strong option. 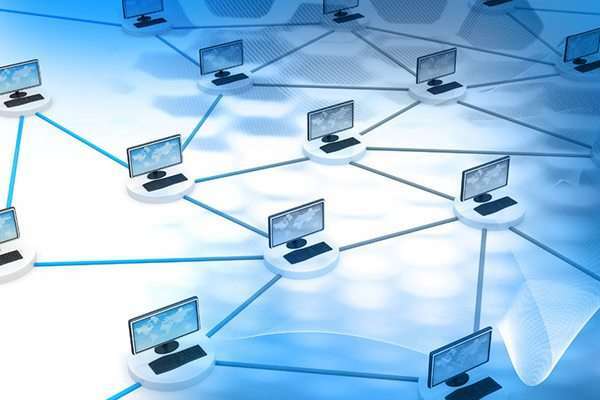 According to Tie National, a leader in business communications technology, SD-WAN is better for growing businesses and startups with their lower cost to entry and singular locations. MPLS is sometimes better suited to companies with older technology that need to ensure a very low packet arrival time. Today most applications are designed to withstand longer packet travel times so SD-WAN is the better choice. To find out what will suit your needs contact a Tie National Representative for a free consultation at (630)518-9600.